The Algarve’s golden coastline is one of the most popular destinations in Portugal, both for tourists and for expats interested in buying or renting Algarve properties. The Algarve is the southwestern region of Portugal, with a beautiful coastline dotted with limestone caves, the Monchique mountain range, and an important nature reserve at the Ria Formosa lagoon. The Algarve enjoys a warm Mediterranean climate with generally mild winters. The main city is Faro, the capital, with many smaller fishing towns and popular resorts along the coast. Burgau is one of many traditional fishing villages to be found along the Portuguese coast. This tiny village in Western Algarve, sits on the edge of the Costa Vicentina Natural Park, attracting visitors year after after year. 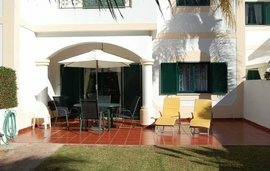 With its relaxed vibe and unspoiled location Burgau is perfect if you’re looking for a property for sale in the Algarve away from the typical tourist destinations. Burgau is a small coastal village near Lagos, where the fishermen can still be seen mending their nets and looking after their boats beside the slipway. Tourism has begun to play a more important role in the area thanks to a beautiful beach. The coast in this area does experience some strong winds, but the town and the beach are well protected by the surrounding hills of the unspoiled countryside. 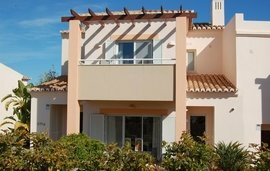 Carvoeiro has become a favourite destination for international buyers in the Algarve. The charming fishing village has developed into a cosmopolitan community where expats can find Carvoeiro properties ranging from traditional villas to brand new apartments. Carvoeiro, also known as Praia de Carvoeiro, is a pretty town on the southern Algarve coast, with a beautiful beach and a warm climate. The town has been carefully developed into a popular holiday destination, yet the original fishing village has lost none of its traditional charm. The high cliffs along the coast provide a stunning backdrop to the sandy beaches and give this area some of the most dramatic landscapes in the Algarve. Praia da Luz is one of the most beautifully developed parts of Portugal, with many resort properties and holiday apartments to tempt international buyers. The town has been sensitively planned to provide an excellent range of Praia da Luz property options while preserving the natural beauty and charm of the original village. The town of Luz and its beautiful beach are nestled into a broad, sweeping bay on the southern coast of the Algarve. Praia da Luz was originally a fishing village, which has become one of the most popular tourist destinations on the coast. The ‘Beach of Light’ enjoys a warm Mediterranean climate in this magical part of Portugal. While Lagos is one of the most interesting cultural centres in Portugal, it remains just as popular for its natural beauty and stunning beaches together with its vibrant city life. Lagos coastal holiday homes and city apartments are popular choices for international buyers. 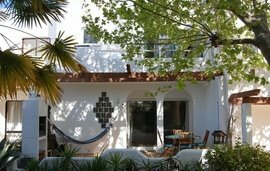 Venture away from the coast and city and you’ll find traditional village homes and peaceful quintas in the countryside. Lagos is the principal city in the Western Algarve. Within the historic city walls is some of the most beautiful architecture in the Algarve, along with a thriving cultural scene. The surrounding countryside provides plenty of opportunities to enjoy the warm Mediterranean climate, with one of the largest beaches in the Algarve and several beautiful nature reserves, including the Ria de Alvor bird sanctuary.